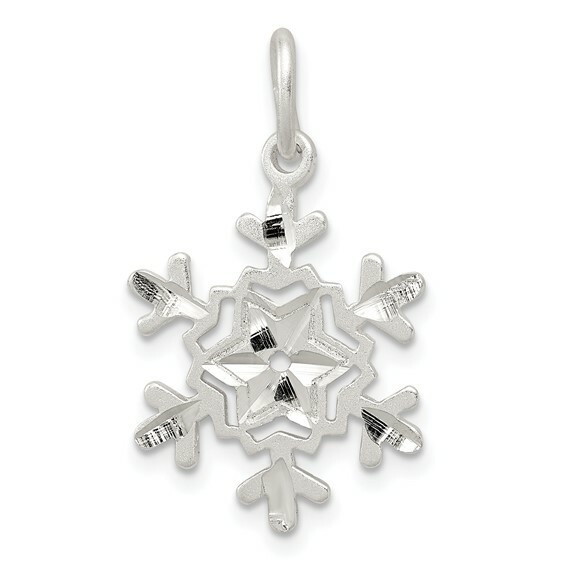 Diamond cut snowflake charm is made of polished sterling silver. Item size: 11/16in x 9/16in. Weight: 0.92 grams.